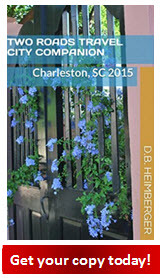 Start your visit to Charleston at the Visitor Reception and Transportation Center (1-800-774-0006), 375 Meeting St. (& Ann St.), where you can find guides & maps, tour a small museum of Charleston history & book sightseeing tours. Charleston, the oldest city in South Carolina, was founded by colonists in 1670. Preservation over the centuries has been key in this city.....there are over 40 churches, public buildings, meeting places, & homes that are listed on the National Register of Historic Places. Many of these places were painstakingly repaired after the devastations of the Civil War. Visitors to Charleston can get a glance back at the lifestyle of Charleston's early residents by viewing the antebellum narrow row houses in the city's oldest neighborhoods, take an iconic horse-drawn carriage ride through the city while learning its history, see the site of the first shots fired in the Civil War at Fort Sumter, or visit the nearby beaches. It's all here in Charleston! Aiken-Rhett House - a home built in Charleston in 1820 at 48 Elizabeth St. It was originally built for John Robinson, a Charleston merchant. The home was later purchased by William Aiken, Sr.., the railroad company owner, & later became the home of William Aiken, Jr., a governor of South Carolina upon his father's death. The Aiken-Rhett House is ran as an historic house museum. The Battery / Battery Park / White Point Gardens is a landmark promenade & is famous for its grand antebellum homes along a stretch of the Charleston peninsula's shores bordered by both the Cooper & the Ashley Rivers. Fort Sumter can be viewed from the Cooper River side. Monuments in White Point Gardens include pieces of artillery used during the Civil War, the hanging sites of pirate Stede Bonnet & Richard Worley & their crews. Charleston Museum - America's first museum. 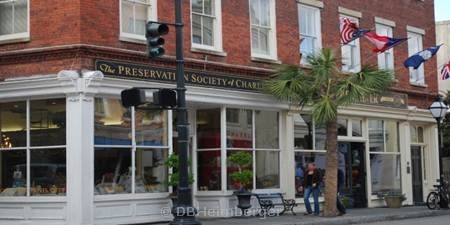 It was founded in 1773 to preserve the history of South and the Carolina Lowcountry. 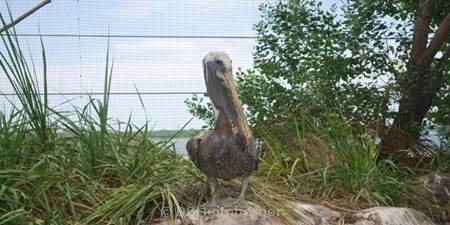 Children's Museum of the Lowcountry - for kids 3 months to 12 years old. Kids can explore & discover while having fun with 8 interactive learning activities. Confederate Museum - found in Market Hall on Meeting Street & containing flags, swords, Confederate uniforms, as well as other war collectibles. Folly Beach - a barrier island between the Folly River & the Atlantic Ocean, just 15 minutes from downtown Charleston. Folly is referred to by the locals as the "Edge of America". The island was named Folly by early English settlers; the word 'folly' was an Old English word that meant an area of dense folliage. The finger-painted sunrises & sunsets on Folly are out of this world! Gibbes Museum of Art - Charleston's art museum along Museum Mile of the historic district which contains a collection of over 10,000 works of fine art. Heyward-Washington House - this house was built by rice planter Daniel Heyward for his son Thomas Heyward in 1772. It was rented to George Washington in May 1791 during the president's week long stay in Charleston.... hence the adoption of the name 'Heyward-Washington' house. Thomas Heyward was a signer of the Declaration of Independence. The Heyward-Washington House was purchased by Charleston in 1929 & opened the next year as Charleston's first historic house museum. The surrounding neighborhood was the setting for Dubose Heyward's Porgy and Bess. Isle of Palms - along with sister island, Sullivan's Island, Isle of Palms is a popular, upscale beach just 20 minutes east of Charleston with 7 miles of beachfront. South Carolina Aquarium - a 300,000 gallon Great Ocean Exhibit located in downtown Charleston at Aquarium Wharf. Spend an afternoon walking through a mountain gorge, a piedmont region river exhibit, viewing the Carolina Seas exhibit, or checking the swamp inhabitants! Sullivan's Island - Sullivan's Island is a barrier island with 3 miles of beachfront & is just north of Charleston's harbor... about a 20 mile trip from downtown Charleston. Sullivan's Island still displays the remains of its military history... where in times gone by it protected Charleston's harbor from invaders. Make sure you visit Fort Moultrie & Sullivan Island's unique lighthouse when you visit! USS Yorktown / Patriots Point Naval & Maritime Museum - Patriots Point is located in Mt. Pleasant, along the Charleston Harbor waterfront, & is the home of the USS Yorktown CV-10 Aircraft Carrier. The USS Yorktown was commissioned in 1943 & heavily participated in the Pacific Offensive beginning in late 1943, ending with the victory over Japan in 1945. She earned 11 battle stars in all for her service in World War II! The Yorktown was decommissioned in 1970 & later placed at Patriots Point as the showpiece of Patriots Point Naval & Maritime Museum. Waterfront Park - a 12 acre park along a 1/2 mile stretch of the Cooper River between Vendue Range to the north & Adger's Wharf to the south. 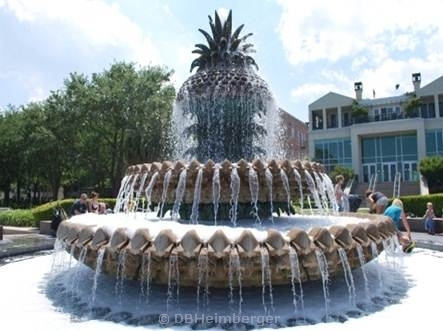 Contains a pier & floating dock with unobstructed views of the Yorktown & Ravenel Bridge, a fountain for the kids to run through, the famous Pineapple fountain of Charleston, many park benches to sit on under the trees, & jogging paths along the waterfront.